But it was very much a worthwhile (albeit whirlwind) trip, enjoying family and friends for this Thanksgiving weekend! 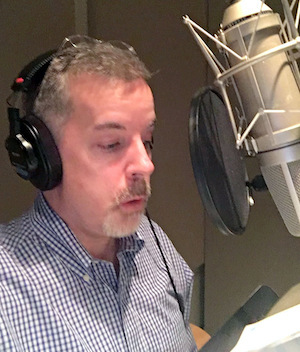 From a voice-over perspective, it was a REAL whirlwind. You would think that voiceover might take a break around Thanksgiving but not in my case. A new national client needed a spot recorded while I was in Atlanta, so over to Creative Sound Concepts I went for a great session there. Happy client, happy life. 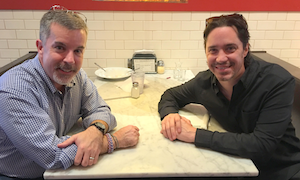 To make it even better, I was able to grab a late lunch/dinner with my friend and my agent Jeffery Umberger. He has a number of very cool action items planned for 2017…plus he had all the scoop on the Atlanta voiceover market. We could have kept talking for hours. Always great to see Jeffrey. Talking off like a rocket in the past few months is The Neighborhood Studio owned by September and Bob Carter. 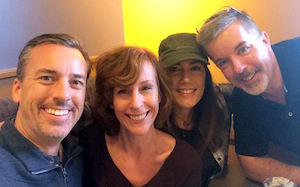 Both have been friends of mine for sometime, but it was great to catch up with September at the new studio (Bob was working) and see what they are doing with it…it’s more than just VO. Trust me when I tell you that if you want an update on the Atlanta video game, film and VO market, September has it but she was shooting information at me like a firehose!!! We had some great laughs about that. Then finally, I was able to catch up at breakfast with Jill Perry, Kelley Buttrick and Sean Caldwell (and Sean’s terrific parents too!) 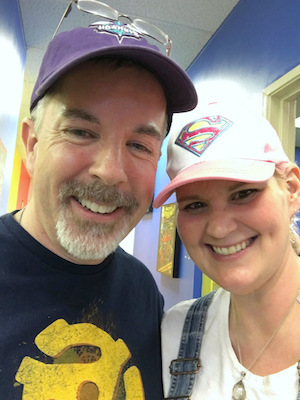 There were so many conversations, I couldn’t keep track so here’s a quick summary: Sean liked CB radios when he was growing up (as did I), Jill Perry loves Al Green’s music (me too) and Kelley cannot be trusted around HVAC electrical outlets. So appreciative to all my Atlanta friends and colleagues with whom I was able to connect. I hope your Thanksgiving was as fun as mine.